Have you ever had trouble explaining what it means to repent of sin? 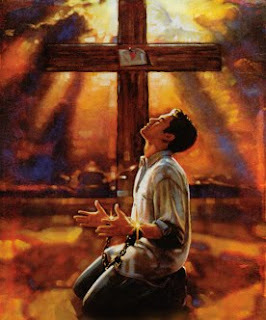 Right away, we think of confessing our sin before God, praying and asking for His forgiveness. Maybe this has been heard preached by the pastor on a Sunday morning, or from a friend that has shared the Gospel with another person and this is commonly what comes to mind. The Greek word for repent is metanoeō (met-an-o-eh'-o) and it means to think differently or afterwards, that is, reconsider (morally to feel compunction). I found the first commentary excerpt by John Gill concerning this verse on another ministry website and thought how simple and yet profound this explanation really is. I then looked at the other commentaries on my e-Sword program and found Matthew Henry's to be equally as compelling and a blessing to enhance my understanding of the text. May this be a blessing to enrich your understanding of the Gospel and what it means to repent and believe the gospel.